Should we summarize and grade 2021 Montana legislative bills? Ellen Winter reported on the Big Timber Wind Farm meeting, which she attended. We will consider showing the Windfall movie, during our movie series. Malia Carr updated us on our February 6th Buckhorn Theater Annual Gathering plans. We have monthly meetings on the first Monday of each month. Our meetings are open to everyone. At the December meeting, one of our members, Melissa Noontz will be speaking. 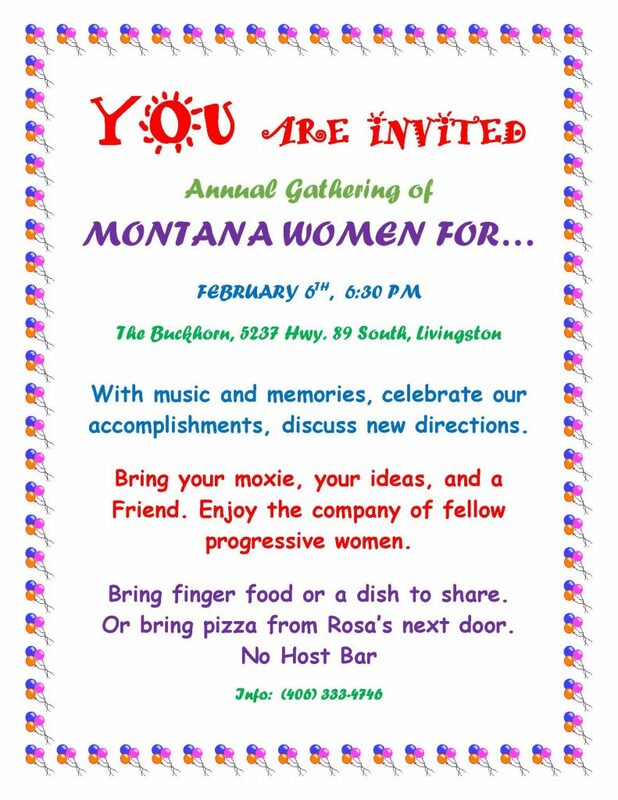 Melissa is the Montana Field Organizer for Moms Clean Air Force as well as being the newest member of the Livingston City Commission, and will discuss Livingston health resources (including mental health), the under/overpass issue, planning board, and other issues affecting our community. We will also be planning upcoming events and organizational issues. Everyone’s ideas and insight are needed.